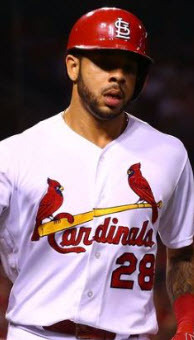 In baseball terms, when a hitter is swinging too late to hit the fastball but too early to hit the off speed stuff, that hitter is said to be “caught in between.” The lingo could be applied to the St. Louis Cardinals. In their herky-jerky way, the Redbirds have been unable to significantly improve their offense and incapable of consistently patching holes in their defense. From the outside, they appear confused, simultaneously paddling after multiple different organizational philosophies. Are they prioritizing defense over offense? Offense over defense? Are they willing to commit big dollars, a franchise-defining contract, to a free agent pitcher like David Price? Or is a middle-of-the-order bat – say, Jason Heyward – more enticing? If the answer is Heyward, which do they value more, his high-power offense or his intimidating defense? And when they don’t sign him, do they pivot to a player with a similar profile? Or reconfigure their roster-building approach on the fly and pursue an on-base machine like Dexter Fowler? This is not fantasy baseball. Simply pursuing the best player on the board is no way to build a roster. And while they flail away, their sinking boat is springing leaks faster than they can bail. In business terms, they lack a clear and viable strategy, and now their investors – the 3.4 million fans that attend Cardinals games every season – are losing confidence in the product on the field. If you’re keeping track, that’s four different metaphors in less than 250 words. Feel disoriented? Imagine how the Cardinals’ front office feels as they desperately try to right a ship that’s lost it’s way. After the untimely death of Oscar Taveras in 2014, general manager John Mozeliak put together a trade package to acquire then-Braves outfielder, Jason Heyward. Heyward’s bat was said to have middle-order potential, but his defense was known to be transformative. The gap between him and the rest of the pack in right field was so great that Heyward was often called the greatest defender in the game, relatively speaking. 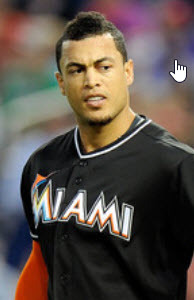 He soon shared the field with the game’s other “best defender,” platinum-glove-winning catcher, Yadier Molina. Despite Heyward and Molina’s presence, the Cardinals’ defensive rankings tanked in 2015, dropping from fourth in the National League in fielding percentage (FPCT) and third in defensive efficiency rating (DER) to 11th and eighth, respectively, in a year. In hindsight, that slide should have surprised no one considering St. Louis deployed future left fielder Randal Grichuk in center and the aging, soon-to-be-DH Matt Holliday in left. Even Heyward couldn’t cover that much ground. The infield wasn’t much better. 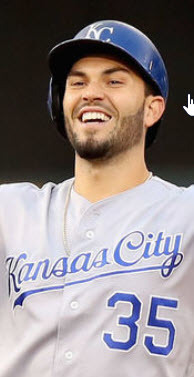 At third, the Cardinals exposed utility-man Matt Carpenter, a below average third baseman who once moved to second base for a season and would soon cross the diamond to play first base in 2017. 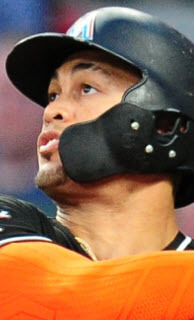 Meanwhile, Kolten Wong, mired in a platoon after moving Carpenter off second, showed the steady hands of a 17-year old on prom night, and the unexpected rookie Aledmys Diaz coddled a frail throwing arm and stunted range between them at shortstop. If Jhonny Peralta hadn’t opened the door for Diaz by getting injured before Opening Day, things would have been even worse. As it was, the downward trend continued, and the Cardinals finished 11th in the NL in both FPCT and DER in 2016. Mozeliak responded by vowing to make defense a priority in 2017. His first move was to decline Matt Holliday’s option to return as the Cardinals’ middle-order bat and starting left fielder. The club wanted to get younger and more athletic. And yet, reports suggest both the GM and Holliday were interested in signing an extension to remain in St. Louis. Only the outfielder’s late-season injury prevented the once-inevitable contract negotiations. Talk about sending mixed messages. 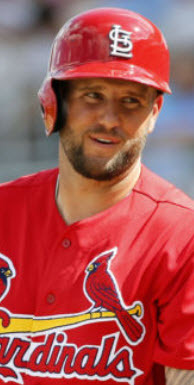 Extending Holliday’s time in St. Louis would have largely been a legacy signing, driven as much by the desire to retain a long-time Cardinal as it would be by potential on-field impact. But building a roster around him commits the club to an offensively-oriented roster right off the bat. In fact, even signing his replacement was primarily an offensive move. Leadoff man Dexter Fowler – a center fielder with an average defensive rating (2.8) in center field but an overwhelming .393 OBP in 2016 – would finally allow Matt Carpenter to drop to an RBI spot in the order. Is the GM only interested in improving the defense as long as it’s convenient to do so? After signing Fowler, moving Grichuk to left field was convenient. That domino was expected to improve the defense at Holliday’s old position. But when Mike Matheny wanted to find at-bats for Matt Adams, it was Grichuk that found himself on the bench watching a career first baseman play his position. So much for improving the outfield defense. And then there was the club’s curious but convenient commitment to a full season of Wong at second. I say curious only because the word “commitment” must mean something different in the offices of Busch Stadium. For Kolten, it didn’t even last the spring. 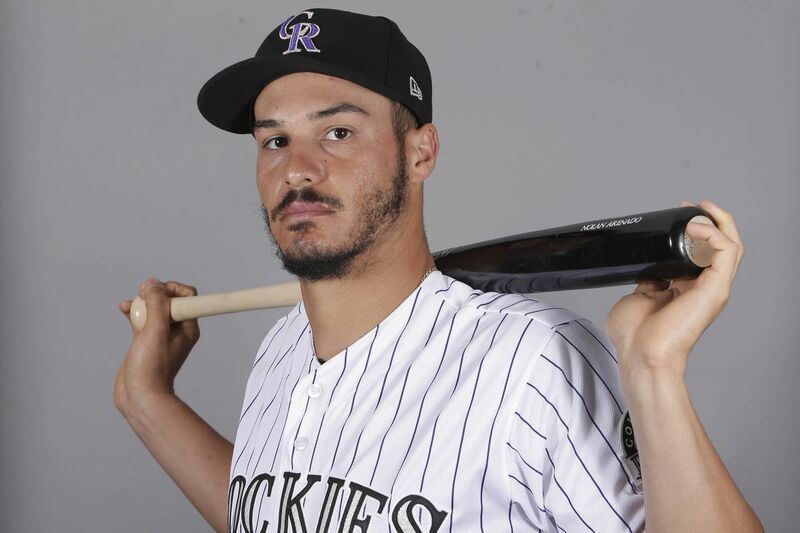 By Opening Day, he was platooning with Jedd Gyorko and Greg Garcia, his playing time reduced after a sluggish start offensively. Once again, a convenient defensive move aimed at improving the infield was abandoned at the first hint of offensive struggle. Even the roster’s starting third and first basemen were converts playing out of position. But playing a career shortstop at third and Carpenter at first made “on paper” sense…if the team was seeking offense. It’s a pattern that’s repeating itself and a strategy, or lack thereof, that’s crippling the St. Louis Cardinals. And it’s leaving fans asking some uncomfortable questions. Is John Mozeliak actually interested in making defense a priority, or is it just lip service to appease the ticket holders? Does the organization have a clear and definable approach to building a roster, or are they just winging it year-to-year, constantly shifting their shopping list based on what’s available? Are Mozeliak and Mike Matheny on the same page, or is the GM struggling to control his manager? 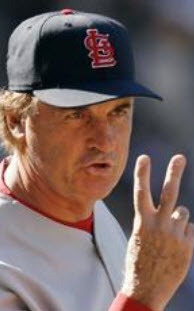 If Mo sees what’s wrong with the club and is vocal about fixing it, is Matheny the problem? If the answer is yes, why is Mike still the manager? This isn’t a new issue. How long is Mozeliak willing to give Tony La Russa‘s successor before calling it a failed experiment? He’s either unwilling to do what it takes to execute Mo’s vision, or he lacks the skills necessary to do it. Or is Mozeliak the problem? Does the organization even know what they’re doing, or are they caught in between, unwilling to commit to improving the defense but unable to acquire the necessary pieces to jump start the offense? 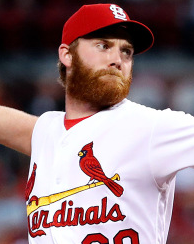 With a doubleheader today, the Cardinals find themselves in an intriguing position. In the span of 12 hours, they could be as low as four games below .500, ensuring a losing record in the month of April, or as high as exactly .500 with a shot to restart their 2017 campaign. But if they remain true to who they are – who they’ve been for the last few years – they’ll simply tread water with an even 1-and-1 split, unable to move forward, and just capable enough to keep from moving back. At the end of the day, they’ll likely still be caught in between.